Start and end in Kathmandu! 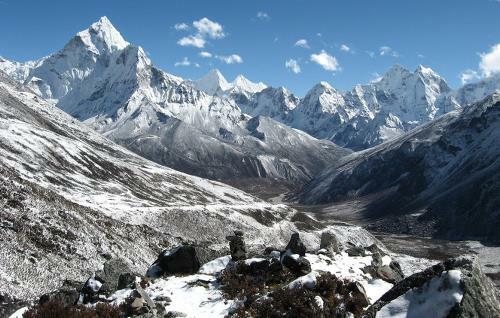 With the hiking & trekking tour Everest Base Camp & Kala Pattar over 55's, you have a 21 day tour package taking you through Kathmandu, Nepal and 9 other destinations in Nepal. 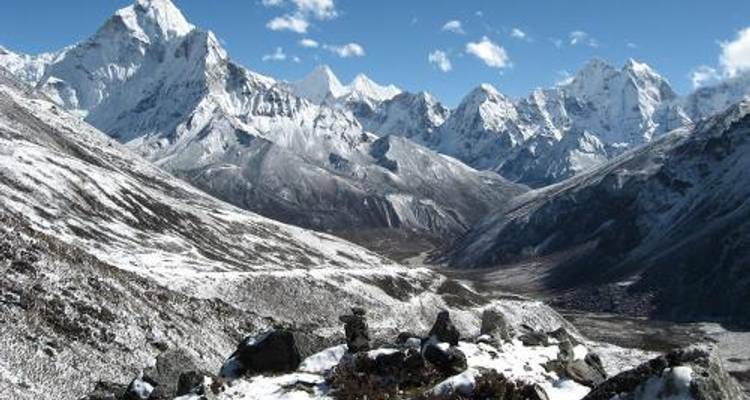 Everest Base Camp & Kala Pattar over 55's includes accommodation in a hotel and campsites as well as an expert guide, meals, transport and more. Day 8: Trek to Deboche, through Thyangboche Monastery. Walk 4-5 hours. Day 13: Ascend Kala Pattar (5545m). To summit and return approx. 5 hours. Day 14: To Lobuche. Walk approx. 4 hours. Day 15: Descend to Dingboche. Walk approx. 4 hours. Is this tour suitable for people over the age of 70? This tour has an upper age limit for moderately graded treks & that is usually 70 years old. We do take fitness & health into account though & assess each person individually. TourRadar only requires a deposit of $99 to confirm this World Expeditions booking. The remaining balance is then payable 70 days prior to the departure date. For any tour departing before 27 June 2019 the full payment of $2,966 is necessary. No additional cancellation fees! You can cancel the tour up to 70 days prior to the departure date and you will not need to pay the full amount of $2966 for Everest Base Camp & Kala Pattar over 55's, but the deposit of $99 is non-refundable. If you cancel via TourRadar the standard cancellation policy applies. Covering a total distance of approx 367 km. TourRadar does not charge any additional cancellation fees. You can cancel the tour up to 70 days prior to the departure date. If you cancel your booking for Everest Base Camp & Kala Pattar over 55's via TourRadar the standard cancellation policy applies.